Scope Head can be mounted above or below scope body. 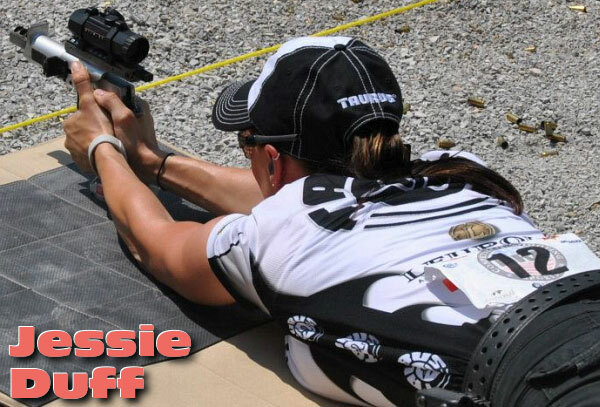 Scope Head works for both right-handed and left-handed shooters. 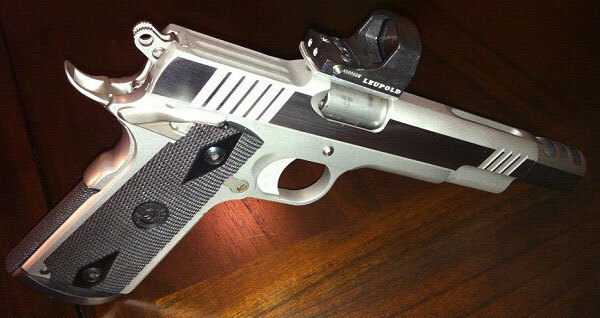 6.25″ Offset. Scope Head works with 3/4″-diameter and 1″-diameter uprights. Integral dovetail mount (saves wear and tear on spotting scope base threads). Coarse and fine elevation settings require no tools to adjust. 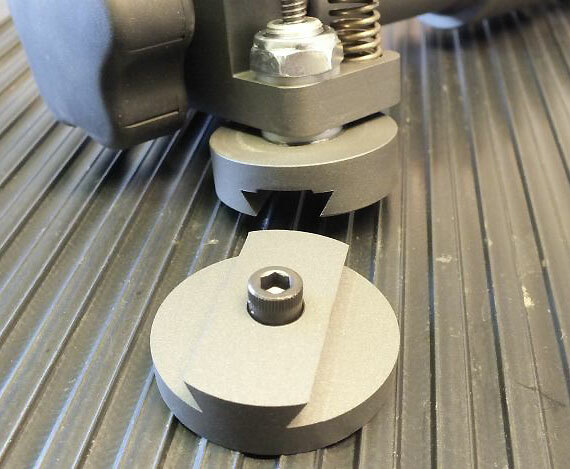 Adjustable windage disc brake friction. 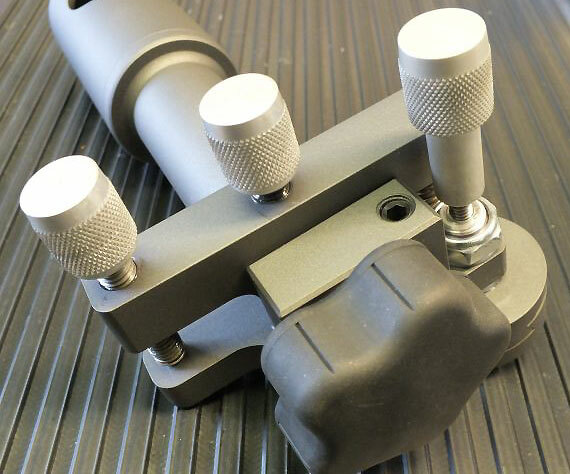 The Competition Machine Universal Scope Head is available right now — a few units are left from the first production run. To order, call 714-630-5734. 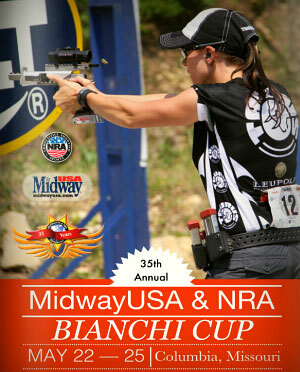 To see other Competition Machine products, including tube gun chassis kits, visit www.GotXring.com. 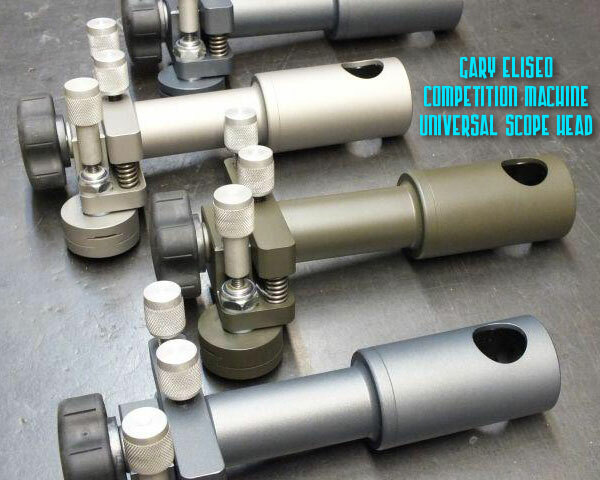 Share the post "Universal Scope Head from Competition Machine (Gary Eliseo)"